Who pays for that stain on the rug? What about the damage your dog may -- or may not -- have done to the yard? 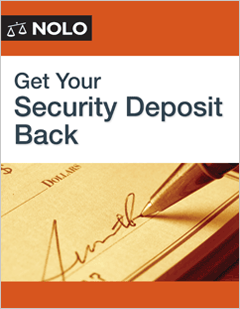 Filled with sample letters, Get Your Security Deposit Back is available immediately. Download it now! They're downloadable and fully searchable -- check out Nolo's complete list of eGuides.